How dare you, a mere mortal sack-o-flesh, even attempt to predict the 24 Hours of Daytona. Let this surprise retirement serve as a reminder of how things work. There is nothing predictable about this race, you fools. The No. 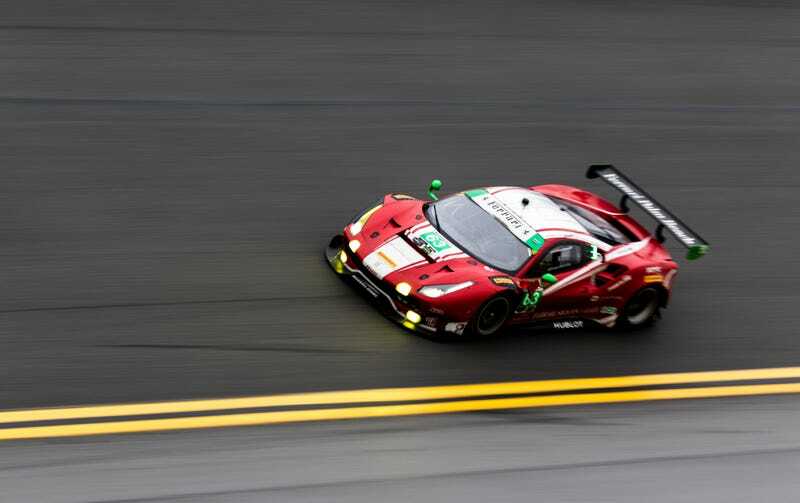 63 Ferrari 488 GT3 of Scuderia Corsa was leading the GTD class when its engine blew, leaving the Ferrari without power at the side of the track with only two hours left in the twenty-four-hour spectacular. It looks like the car’s engine just won’t last that long. The No. 63, sadly, has since been retired. Strangely, the No. 96 Turner Motorsport BMW M6 GT3 also pulled off and stopped at the same time. They were running in eighth place.